Redesigning your kitchen from scratch? 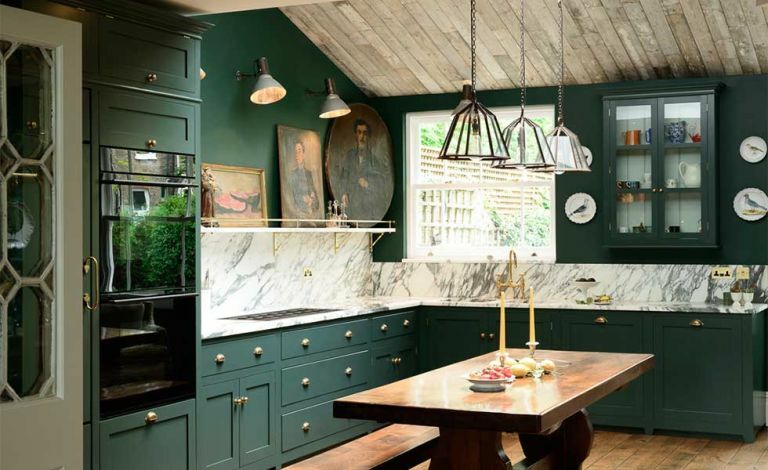 Want to devise a gorgeous colour scheme for your kitchen? Be inspired by this kitchen makeover – and see all our kitchen transformations for more ideas. When Hayley and husband Keith viewed their elegant detached house in south London, they knew instantly that it was the family home they’d been searching for. The only thing letting the it down was its kitchen, and for a house of its size, the space felt cramped and enclosed thanks to low ceilings.